Long Gone Childhood Memories? Vivid memories of delicious dishes piled up on the plates, when I was barely tall enough to sit comfortably on those stools. 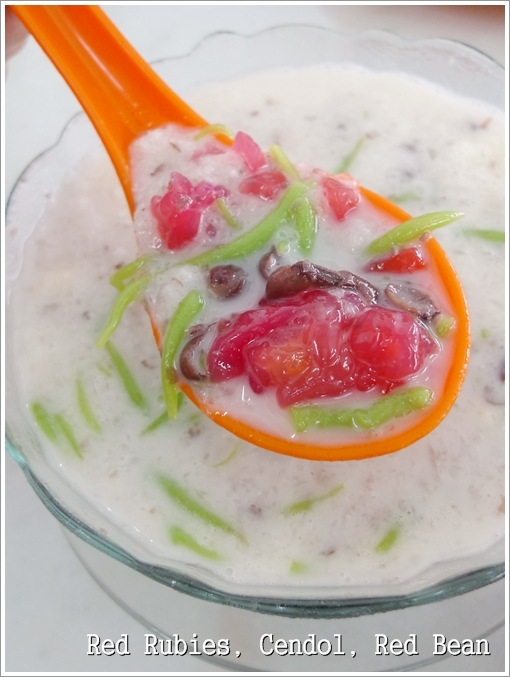 Then a bowl of refreshing “Bee Tai Bak” to finish the meal off. For some awkward reason, I have the tendency to indulge senselessly lately. Probably stress from work. Maybe the fickle weather; burning a hole in my brain. Or possibly the recent lack of proper indulging (ahem, comparatively speaking of course) got me bursting with cravings left and rights. I downed a cup of Maltesers milkshake right before dinner last weekend. And I almost could not contain my urge to order seconds minutes after I got my first. Sin Meng Kee used to be THE vegetarian restaurant to be. They used to serve an amazing spread of dishes for lunch; ala economy rice style. 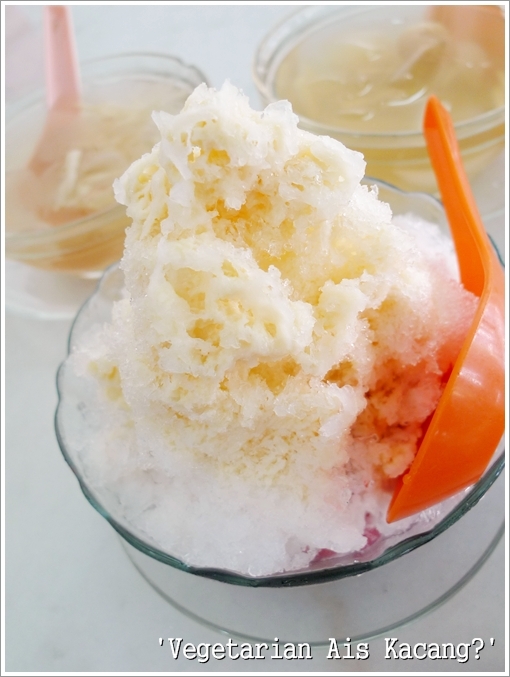 For another session of good old Motormouth style story-telling (more like rambling), read on …..
Just order Ais Kacang or ABC, or mixed ice drink or whatever they call it, and you get this bowl of shaved ice piled on top of a coconut milk concoction with various ingredients. Many years ago, when this food-crazed maniac was still in his toddling years, Meng Kee used to be THE vegetarian place in town. Bar none. Or maybe I was ignorant enough to be aware of my surroundings, but come the 1st or 15th of each month (the Lunar calendar), grandma would have her vegetarian food at this shop; or sometimes to avoid the crowd, we had to take away packets of rice with our dishes of choice. More often than not, the Meng Kee‘s signature vegetarian roast goose (crispy layers of beancurd sheets served with a sweet chili sauce) would be omnipresent. I found them to be THAT good …. the fact that the meal’s meatless did not trouble me one bit. Fast forward a decade or two later, and we are spoiled with the funkier vegetarian sushi and bento sets at Fu Tien or even the hugely successful Yishen vegetarian restaurant in an upper tier of its own. 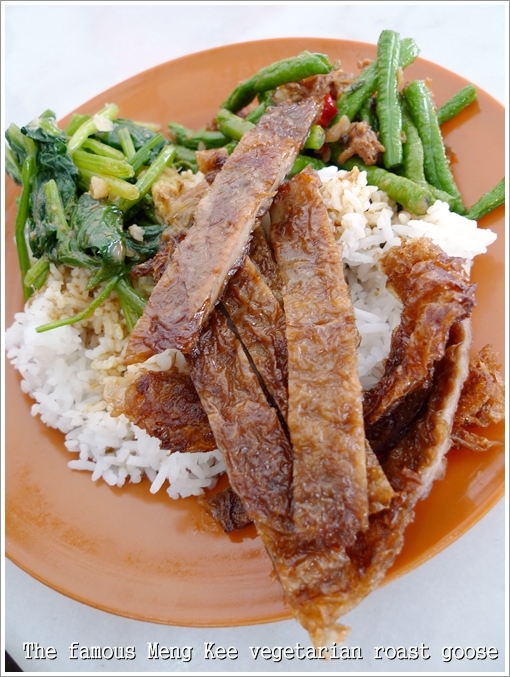 If you’re a frequent patron of Kinta City’s food court, then Meng Kee’s there. Though lacking in character, unlike its original root in town next to the now defunct Super Kinta. Somewhere somehow, the magic was lost ….. There are at least 20 or so vegetarian outlets in Ipoh. Or double the number, for all that I was made aware of. 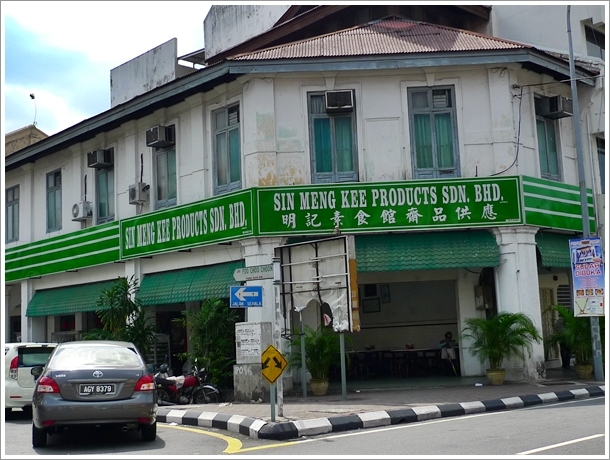 Sin Meng Kee now pushes for their products instead, and you can either buy from them directly at their outlets (another in Ipoh Garden near to Sun Marpoh), or from various supermarkets as well. This time around, the meal did not manage to recreate that instant magic from back then. Something was lost, the flavour was not there, the vegetarian roast goose was lacking in texture and taste, while the usually satisfying Bee Tai Bak was diluted and not as milky rich as desired. Oh how they have aged with time. Still one of Ipoh’s most prominent vegetarian food outlet, no doubt. Yet a decade down the line, will this brand withstand the test of time? And picky eaters and fickle minds groomed unlike the older generations? Business hours : 7am until 5pm. Nearby landmarks : Super Kinta (Pasar Besar Ipoh), Yik Foong Complex, Eastern Hotel, McDonald’s. For the whole of next week, I am letting loose. 100%. I won’t suppress my cravings, nor will I care about the consequences. Okay, maybe slightly. But I’ll leave that to be pondered upon on another day. 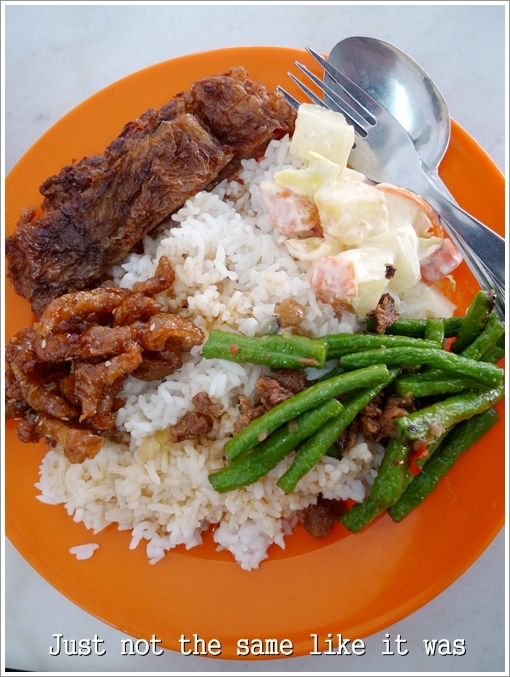 I used to buy this vegetarian food from their stall (way before the shop was established) parked in front of the Pasar Besar. The owner used to be a martial arts instructor – he taught at one of those Chinese associations (and yes, I attended his class too, LOL!). Then, his nickname was “King of the Roadside” coz his stall was very popular & he was doing a ROARING business. I guess times really have changed and it’s a shame that the quality has dipped – that’s the sad trend once a stall business goes commercialized! Yes. Still, the people will come visit and such, but then again … I can’t taste the same old deliciousness of the roast goose from the olden days. Yeah ….. it’s been ages too. If not for the occasional visit to Yik Foong (for work, hehe …), then we would not have come. Parking’s a miserable chore though. Yeah …. that would be the FIRST thing I would reach for, every single time. At any stall or restaurant. I was talking about this place with a friend this afternoon and wondering whether it’s still open. Looks like there is a change of ownership? I used to ‘ta pau’ back to KL. How ironic? I am not sure about ownership or such, but the quality definitely has gone down. Even Su Sum in Ipoh Garden (Same row as Meng Kee) is better. Oh no, plan to go back this week and try it out, after very long time never been there. During secondary school time, I always lunch there, cheap and delicious, before heading to heading for tuition( at Persiaran GrennHill). Really miss those dishes serving buffet style, especially duck skin. And also my secondary school gang. Anyway, I will still go there to try it. 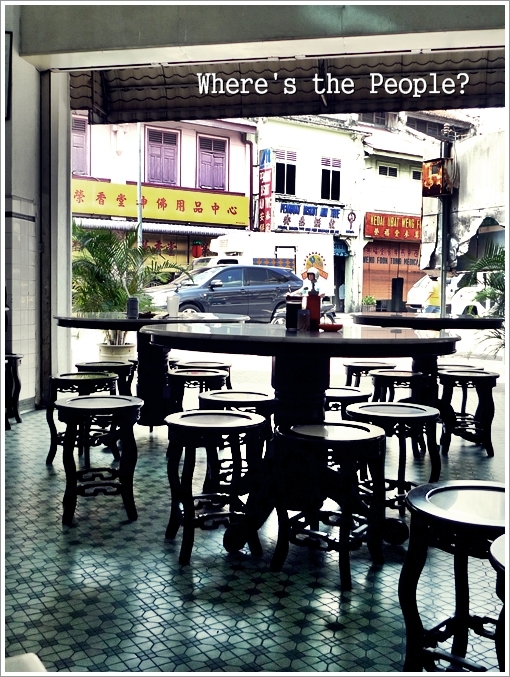 Really enjoy reading your blog, as a perfect food guide when I am back to Ipoh. Can someone please tell me where can i get Sin Meng Kee products in KL or PJ ?